Tawny Owls or brown owls are a stocky, medium-sized owl commonly found in woodlands. The male tawny makes a hooting noise, often accompanied by the kewick response of the female. Together this gives us the characteristic and familiar owl sound that we all love to hear. 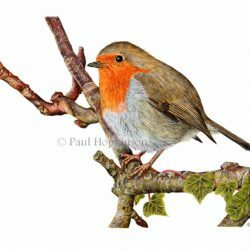 Maybe you are a lover of the countryside or perhaps you know someone who is – this would make a lovely gift. 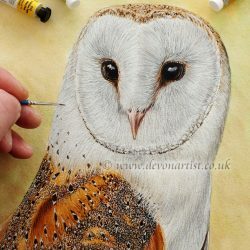 The tawny owl is printed on A4 ( 210mm x 297mm 8.27 x 11.69 inches) paper.